The award winning building was designed to house some of Norway's most valuable art, known as Astrup Fearnley Museet. In 2012 the museum moved out and left these large, classy venues empty. In 2014 we took over and renovated it. The venues are of a unique character with 9 meters of headroom, open floors and large chandeliers in the ceiling. The location is superb, wit a few minutes walk to the central station and all public transport. Gamle Museet banqueting venues has a large exhibition space of about 1200 sqm, and a garage entrance in the basement with a door of 3,3 meters. The venue is approved to house up to 600 guests. 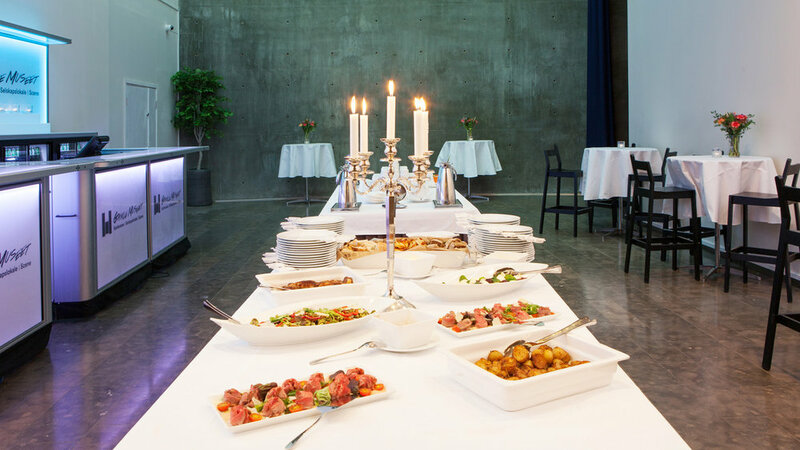 Gamle Museet is a banqueting hall that is suitable for every social event you can imagine – such as kick-offs, weddings, Christmas parties, fairs, company parties, art exhibitions, fashion shows, concerts, performances, lectures and others – with or without dining. 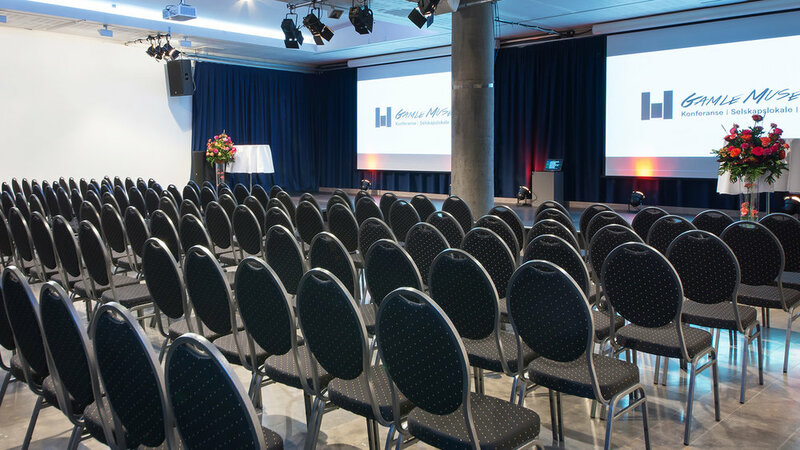 You can also rent our venue for an all day conference. Click here to see pictures of the venue and see all the possibilities you have when you are renting Gamle museet for your event. Good planning ahead of time will better the quality of your arrangement. We have skilled project managers with years of experience that can help you plan your event. We offer tailored solutions at your request, regardless of whether it is small or big, private or corporate event. This experience is unique and your event will be provided for by safe hands. Start the banquet/party with a lecture. Our stage is suited for all kinds of entertainment. We offer differ kind of food – either a 3 course menu or for instance tapas.